Who hates picking it up? If you answered yes to one or both questions then this game is for you. 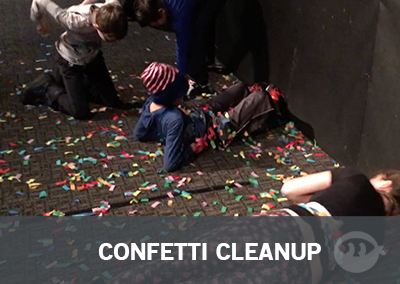 A game for you to use a confetti cannon as well as a chance for your students to be the ones cleaning it all up. Not only does this game look awesome but it also is hilarious to see your students attempt to pick it all up! Duct Tape. A couple rolls will be just fine. We bought the extra wide rolls to help with coverage. Confetti. 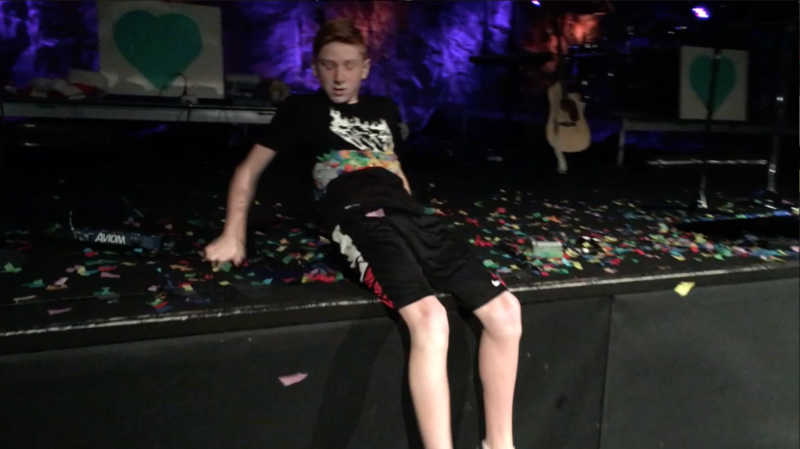 Don’t skimp out on the confetti, if your going to do it, do it big. Take your duct tape and wrap it around each contestants abdomen. You will want to do it so that the sticky side of the tape is facing out. This allows them to stick confetti to it. Launch your confetti cannon into the air so the confetti comes falling gracefully down to the ground. You can have as many contestants as you want waiting below for the confetti to drop so they can begin the collection process. 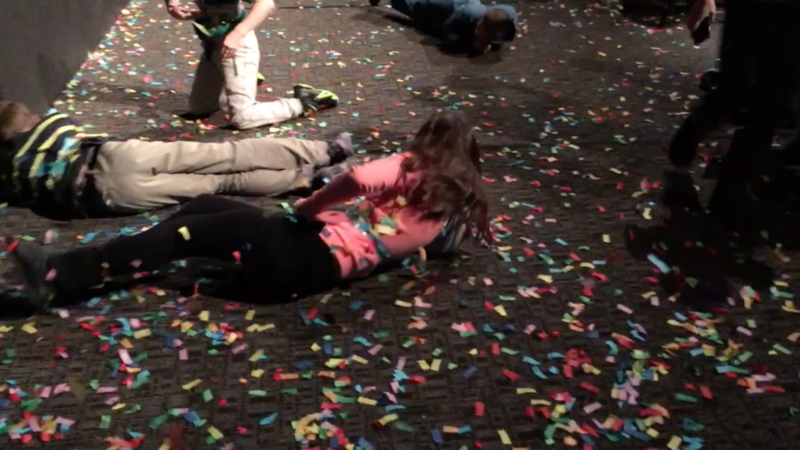 Each contestant has to collect as much confetti on the duct tape wrapped around their waste as possible. They can catch it as it falls from the sky or roll around on the carpet to get more. Awesome moves are encourage for collecting the confetti such as doing “the worm” or any other ridiculous dance moves they may think of! 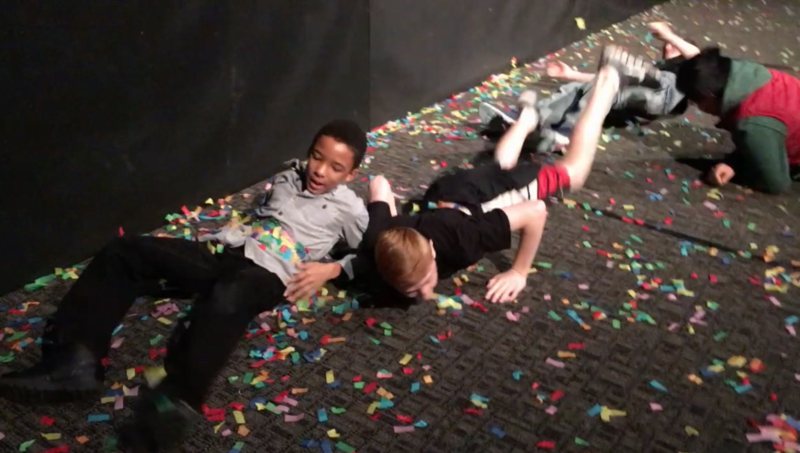 After 120 seconds contestants must stop and using your judgement decide who has collected the most confetti. 71 | Should I Plan an Event with Another Youth Pastor?